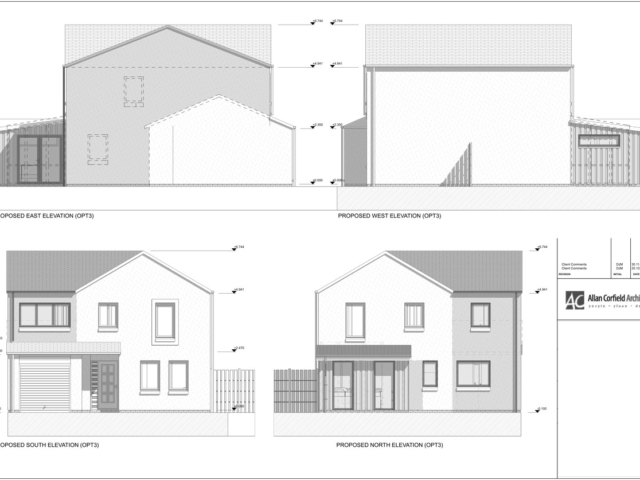 ACA offer a basic service for homeowners wishing to extend their existing properties in order to gain more space without moving. 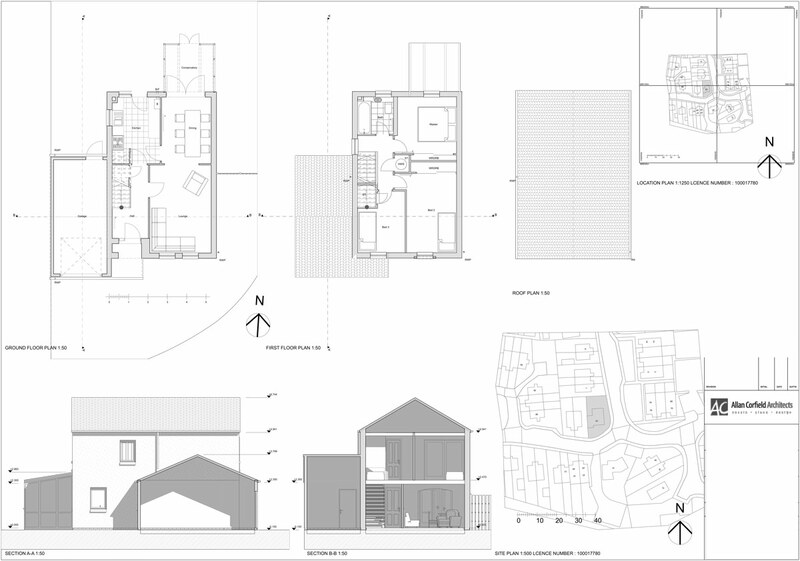 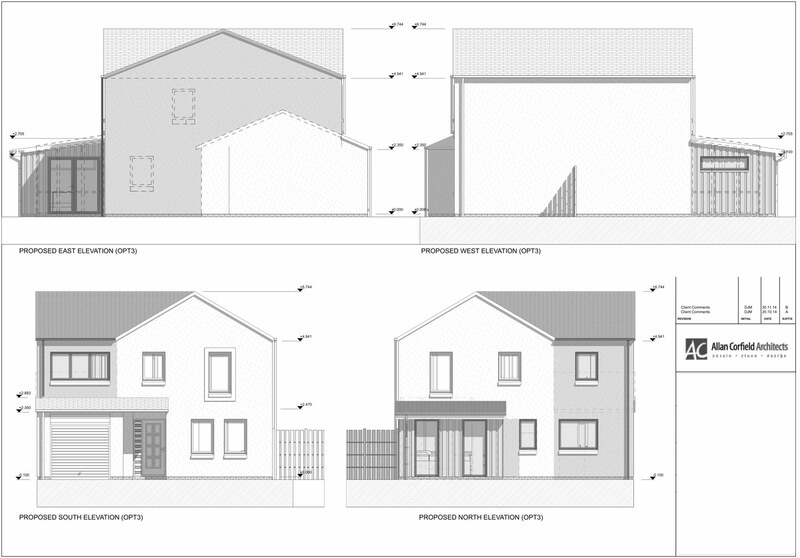 Gill and Mike Higgins of Cairneyhill used this service to obtain planning approval through the Certificate of Lawfulness option, as the extension met the Permitted Development guidelines. 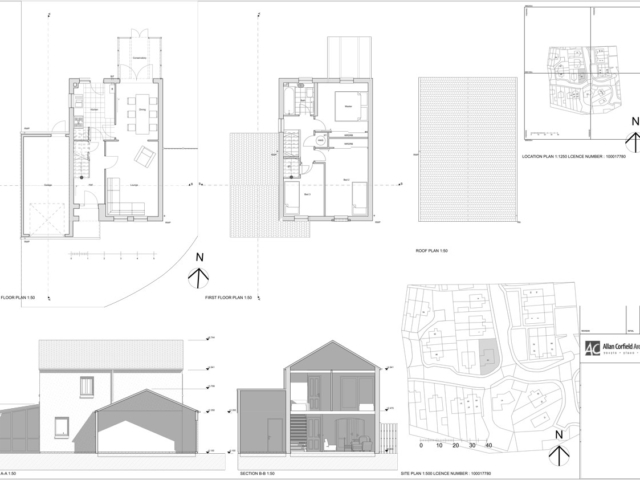 ACA then went on to provide a Building Warrant design service. 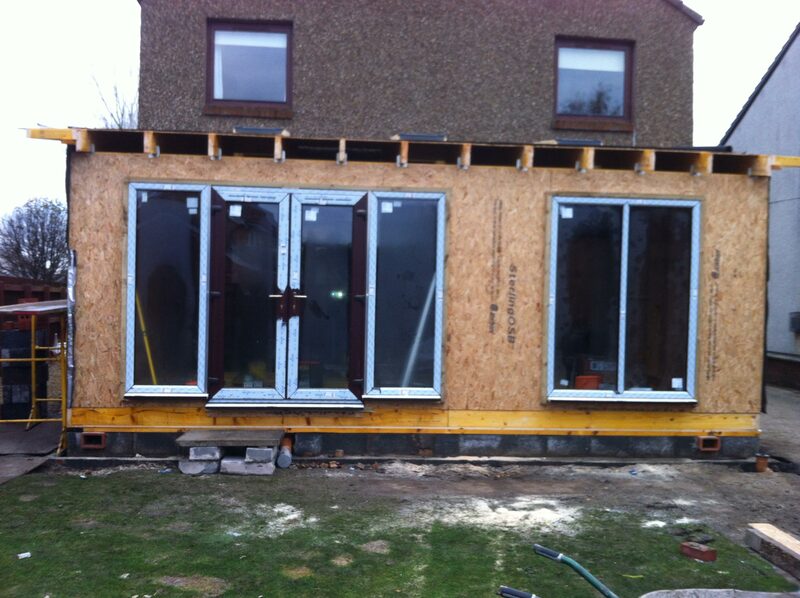 These drawings were then costed by local contractors and then built by GM Joiners. 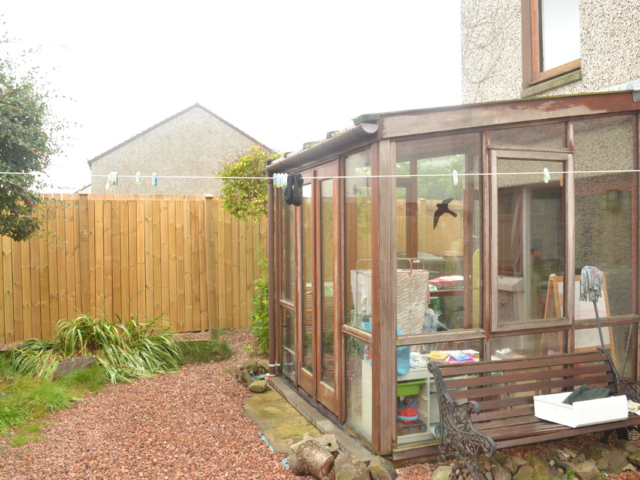 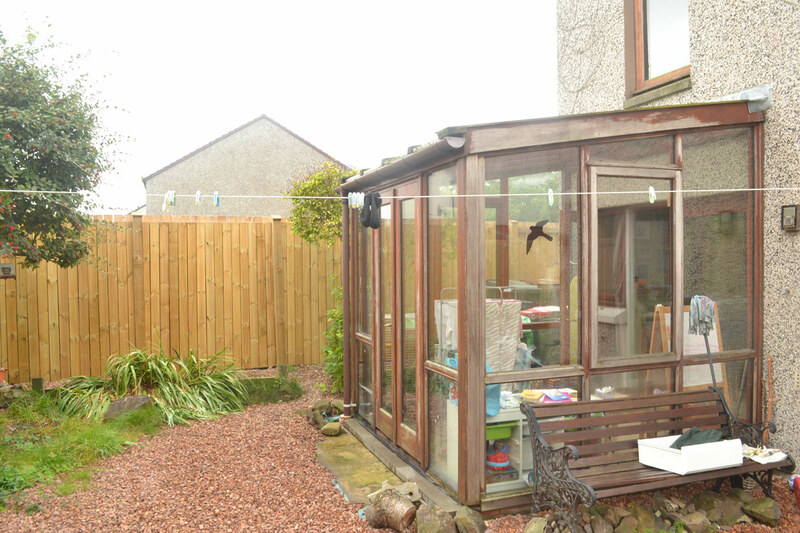 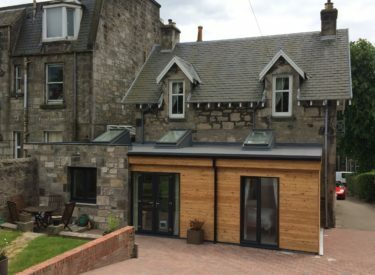 The single-storey home extension to the rear of the property extends the existing kitchen and provides a new sunroom for the family to enjoy the rear garden. 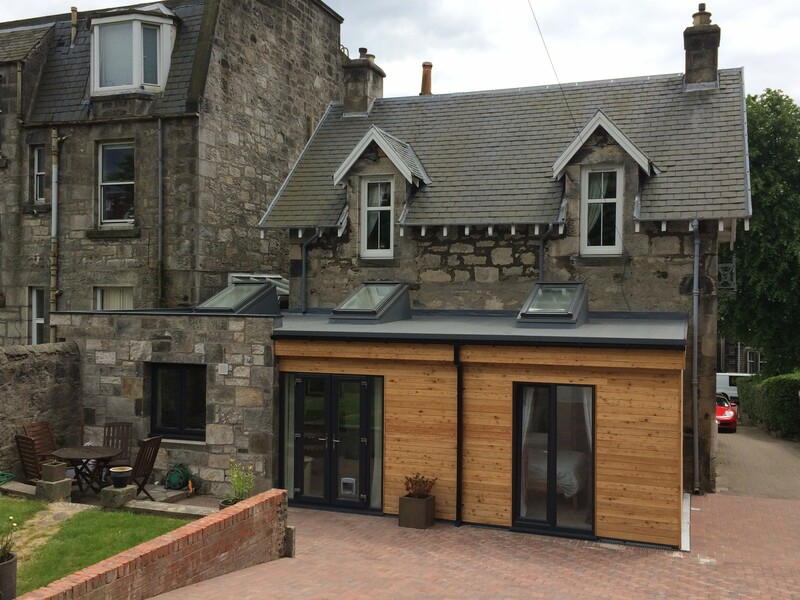 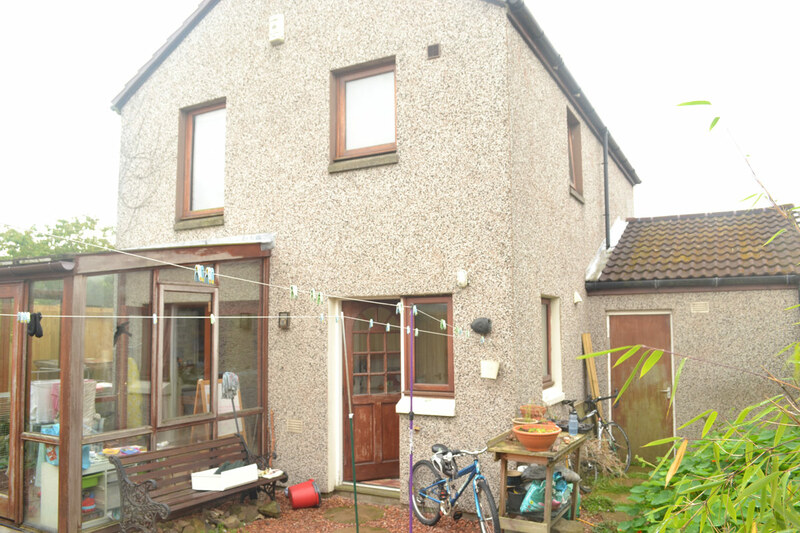 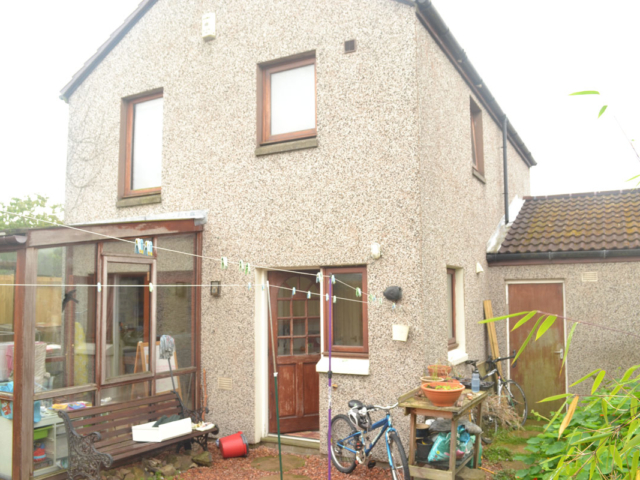 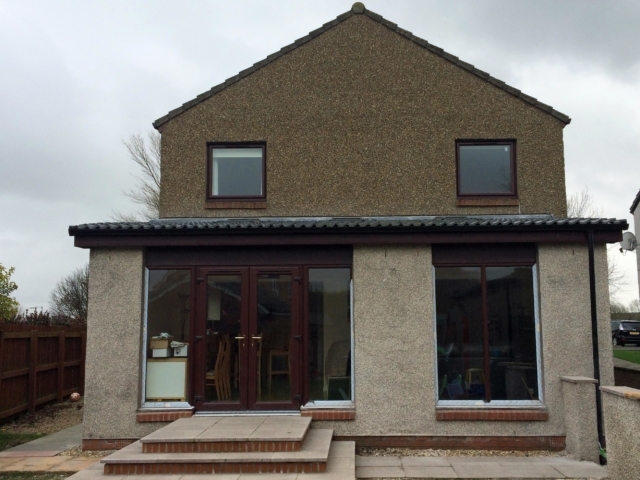 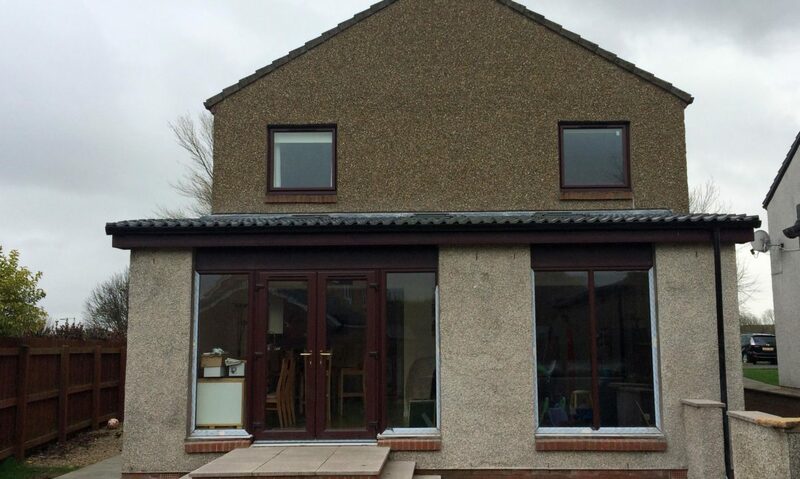 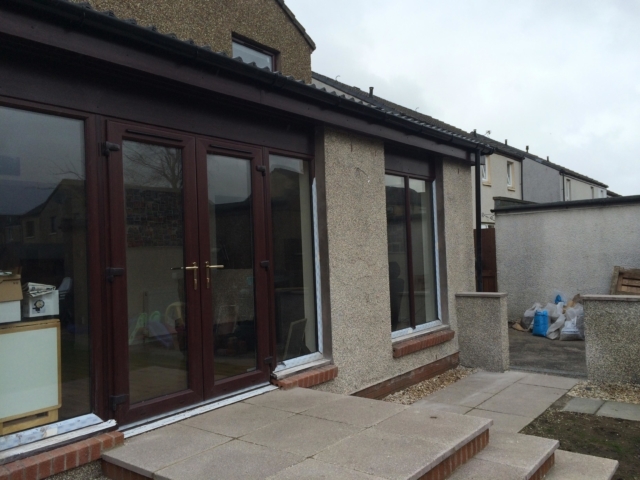 The home extension was constructed from an insulated kit, with a rendered blockwork outer-lining to match to the existing building. 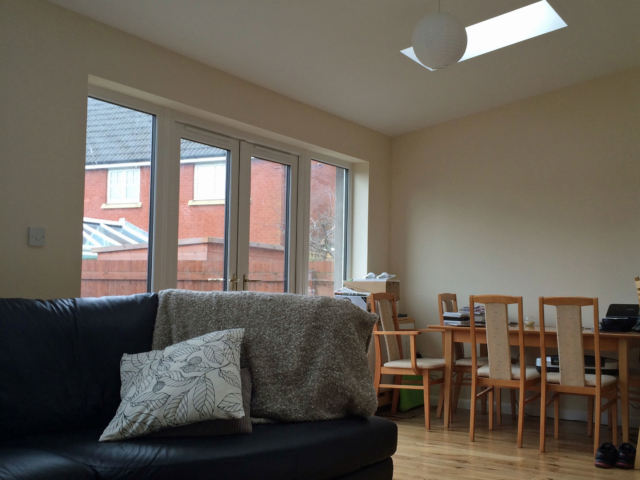 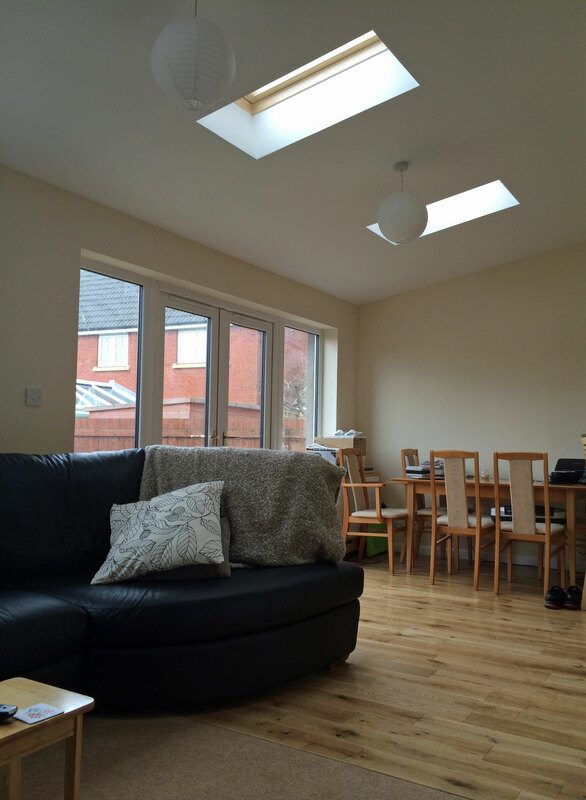 The roof has a number of Velux rooflights which bring sunlight into the rest of the building. 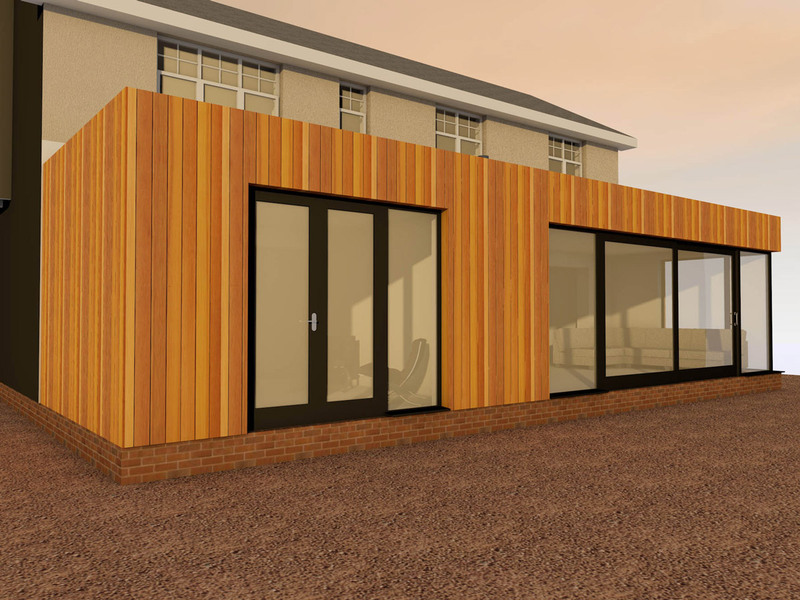 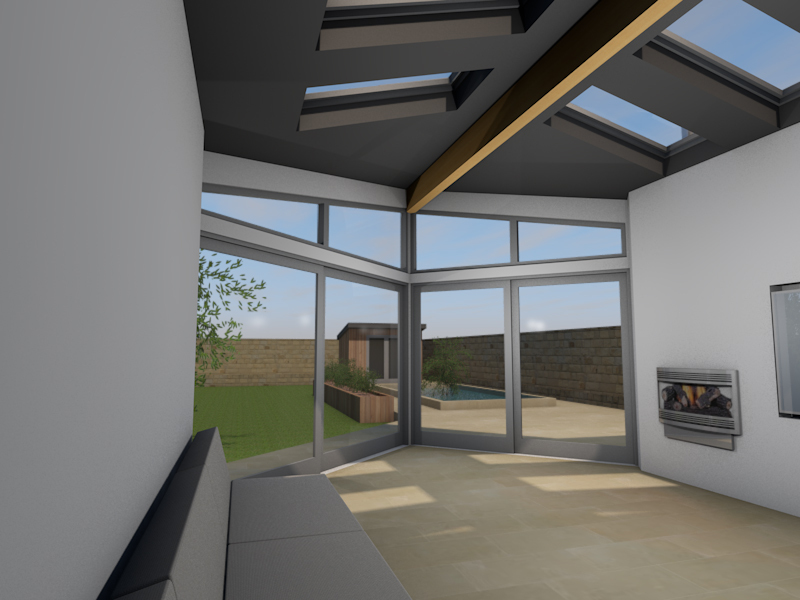 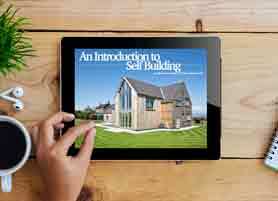 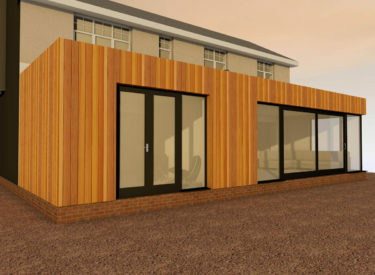 During the home extension design process, ACA used 3D modelling software to show the client what the new home extension would look like before they committed to submitting the Planning approval. 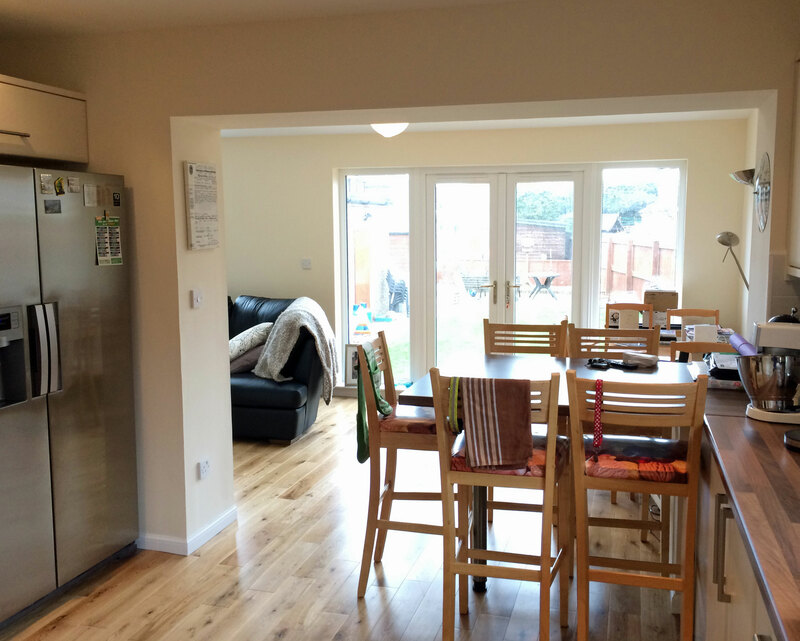 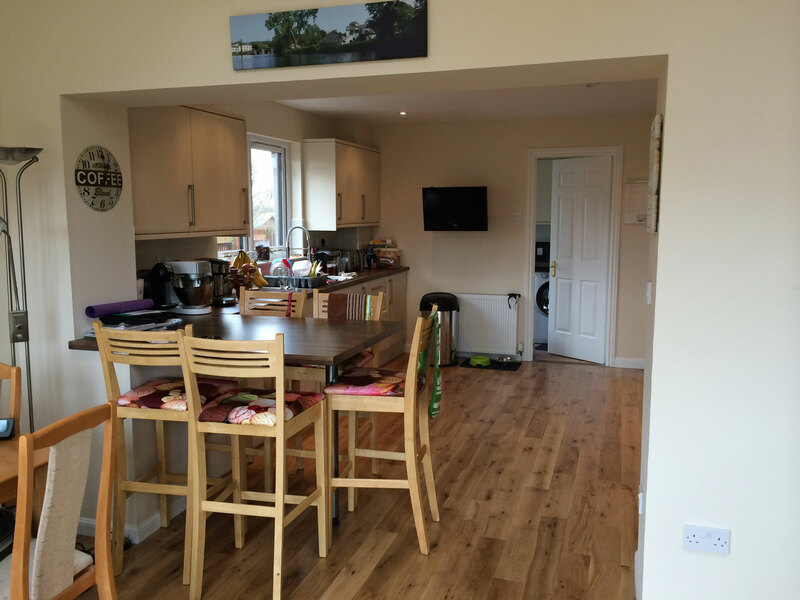 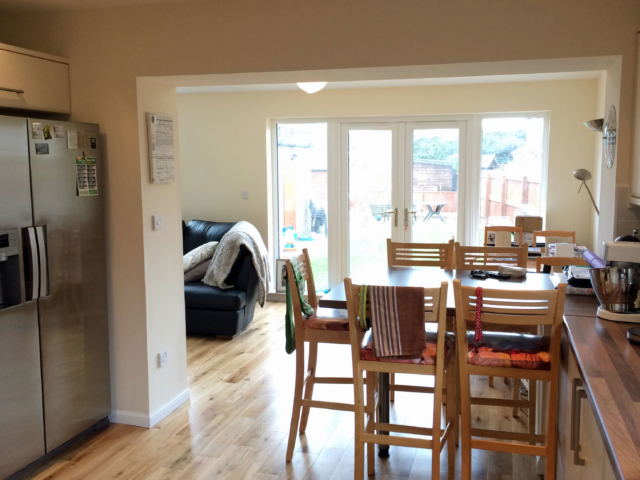 The clients were delighted with the service and the completed home extension, and ACA has worked with the clients on numerous additional projects.